Snails are quite popular for home aquariums nowadays. However, certain snail species can become pests if introduced without your say-so, for example as hitchhikers on plants. When trying to remove these, your first thought should be to use assassin snails. It might not make the most sense to add snails when you want to clear them out, but assassins are carnivores and will snack on your pests until they’re eradicated. You’ll get an attractive, stripy species that won’t eat any of your plants, so they’re not just for people with a pest problem. 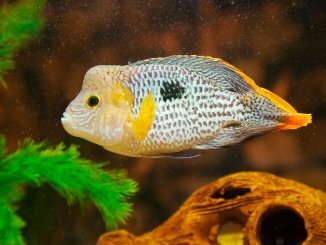 If you’re looking for some new tank mates to mix it up from just keeping fish, assassins are a great option. This complete guide to assassin snails will cover everything from their behavior, to their breeding habits, to their dietary needs and much more. What Size Aquarium Do Assassin Snails Need? How Many Assassin Snails Can be Kept per Gallon? 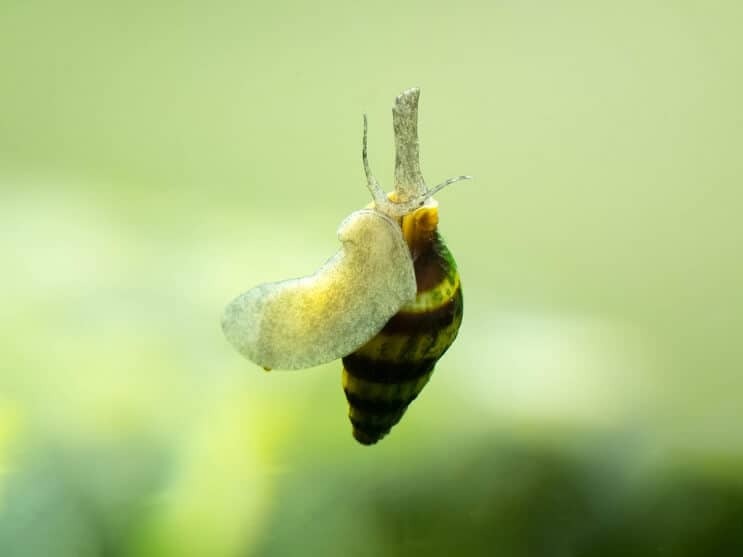 The assassin snail (Clea helena) is a freshwater snail belonging to the Buccinidae family. The term “whelk” is given to a few snail species from a variety of families, but the Buccinidae family contains the “true whelks”; a carnivorous group of snails. Their name comes from their carnivorous diet choices. They enjoy eating other small snails. They’re native to southeast Asia, living in lakes and rivers throughout countries like Malaysia, Thailand and Indonesia. 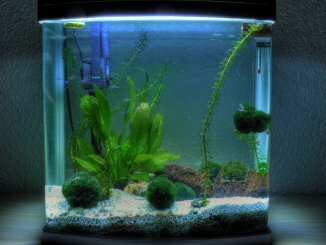 Their popularity in home aquariums has caused them to spread as an invasive species, with worries that they’ll spread further. This is a relatively simple species to look after. If you can keep the tank clean, they’ll happily get on with things on their own. You shouldn’t need much experience to keep a group of them. You won’t have to pay much to get them either. A single snail will cost around $2, but you can usually get them cheaper if you buy a few of them at once. People often want to add snails to their tank because they’re great at clearing up algae. If you’re one of these people then this species isn’t for you, since assassin snails are strictly carnivorous. The service that they provide instead is the removal of any pest snail species. Assassins will eat small snails with little thought. 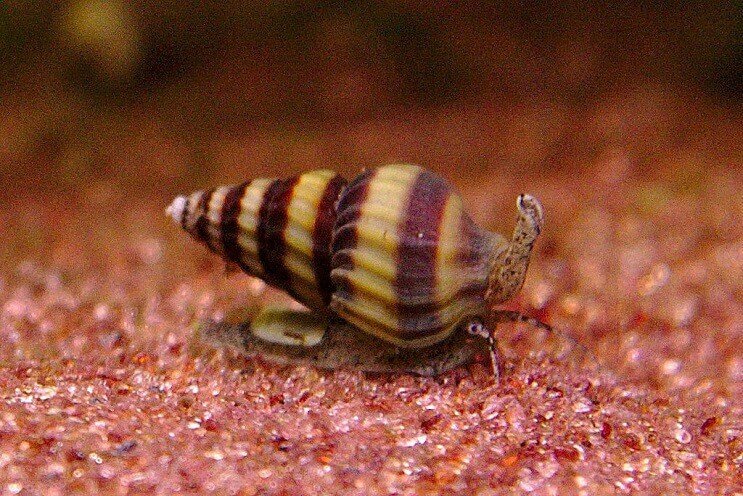 Assassin snails are famously slow, so they won’t introduce much activity to your tank. You’ll see them less during the day, as they choose to come out at night to feed. They’ll break this habit if they sense that you’re feeding them in the daytime. They’ll emerge and head straight to the food. A lot of their time will be spent buried in the substrate. They wait here for anything that moves above them (like smaller snails). They’re not an aggressive species and won’t bother your fish, but any slow-moving animals that are small enough to be eaten might be seen as prey. Like most aquarium snails, this species is fairly small. A healthy adult will reach around 1 inch, but they can grow larger depending on their diet. Wild assassin snails tend to be a little bigger than those bred in captivity. Shells come in lots of different shapes and size and it’s the shell which helps when identifying the species. An assassin’s shell is conical with brown and yellow stripes running around it. This has led some people to nickname it the bumblebee snail. Sometimes they might lack stripes and be completely brown in color; but it’s rare. An interesting part of the shell is called the operculum. This acts like a trapdoor to shut off the shell when the snail is hiding inside. Inside the shell is a strong, muscular “foot”. The muscles it contains are contracted to move the snail forwards, at a very slow pace. The head has a pair of short tentacles attached. These are very sensitive and help when moving around the tank and looking for food. A pair of eyes can be found at the end of a long pair of tentacles; these can detect light and motion. 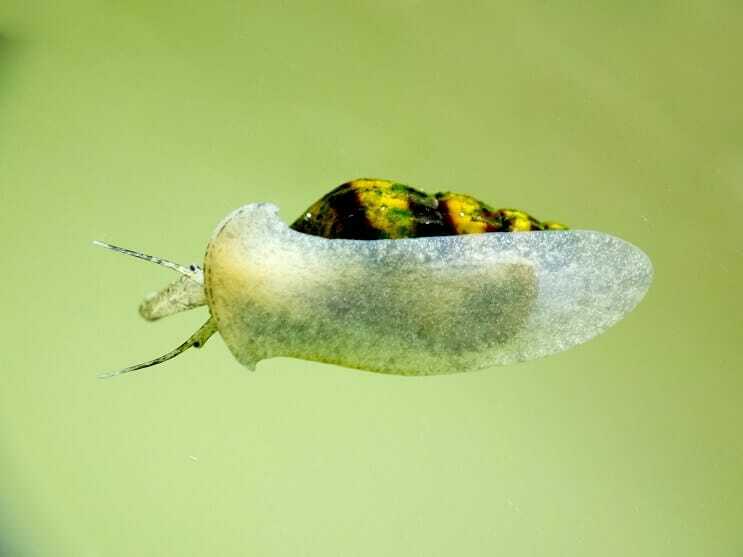 The freshwaters where assassin snails live in southeast Asia are tropical and slow moving. These warm waters are well-lit and slightly alkaline. The substrate is soft and sandy which helps them bury themselves underneath. Littered on top of the sand are various rocks and debris that form mini cave systems. Plants are scattered around too but these are of little interest to this carnivorous species. There’s a reason that these snails live here; the conditions are ideal. 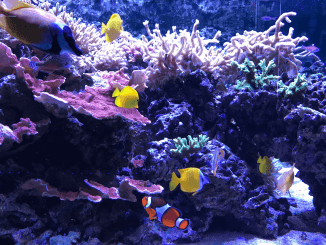 You need to make sure your tank resembles their natural habitat to keep them healthy. Starting from the bottom of the tank, a sandy substrate is key. Most of the snails’ time will be spent among the grains, so the substrate needs to be small and soft so it doesn’t damage their sensitive tentacles. Assassins aren’t fussed about plants; they don’t tend to use them as food or shelter. Strangely this makes them ideal for planted tanks or paludariums. If you keep lots of plants and want some snails, most species would start to eat the plants and cause damage. Assassin snails will leave them alone, so your plants can flourish. Whether you add decorations is up to you, but adding a couple gives your snails space to climb, and places to attach eggs when breeding. The water needs to be well filtered and heated. If conditions change then your snail’s health will rapidly deteriorate, so keep everything consistent. The temperature should be between 70-80°F and pH in the range of 7-8. Keep the water slightly on the hard side for healthy shell growth. Your filter outlet will create enough of a current for them, fast-flowing water isn’t important. Lighting isn’t a problem either; they will thrive with any lights. Assassin snails will need a 10 gallon tank; but bigger is better. You can keep 2 assassin snails for every five gallons. Your snails will pay little attention to any fish you add, so in that sense you can add anything you like. The problem is that there are lots of fish that might try to eat your snails. You should be fine will most common community fish. 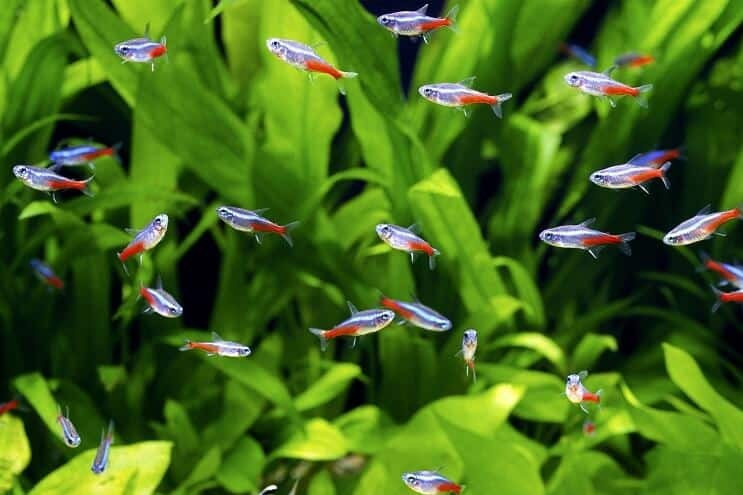 Small species that swim in the mid-levels of the tank will be fine: cherry barbs, celestial danios, guppies and neon tetras are some good examples. Some bigger options are peaceful gourami (like dwarfs or pearls), rainbowfish or angelfish. Bottom-dwelling fish can be more dangerous as they’ll come across your assassin snails much more often. Any fish that live in the lower levels should be peaceful scavengers like Corydoras catfish or Otocinclus catfish. Though assassins will eat other snails, these are usually only small pest species. If you want to add some different snails, they’ll need to be the same size or bigger. Nerite or mystery varieties are suitable. You can keep assassin snails together. Most of the time they’ll barely acknowledge that others are there. This means you can keep them on their own too. As long as you’re not overstocking the tank you can keep as many or as few as you want. Assassin snails are a carnivorous species, so their diet doesn’t include any vegetation. They’ll ignore any plants in the tank; you don’t need to worry about these snails damaging them. They’ll ignore algae too, unlike most other freshwater snails. If you want a gastropod to clean up your algae problem, look elsewhere. They will eat are other snails, so fishkeepers sometimes use assassins for pest control. Trumpet and Ramshorn snails are a couple of the most popular snacks. Soft snail eggs and shrimp fry might be of interest too. Assassins don’t usually eat their own young or eggs though. Blood worms are also a favorite. They’d eat a lot of worms in the wild so this is a good way to vary their diet while sticking to their natural prey. Brine shrimp are another live food you can use. You might be able to interest them with some flake and pellet foods, but this varies by individual. Algae wafers might also be eaten because of their high protein content. The choices you make with their diet will influence how they grow. It’s hard to tell how much to feed them since they eat at their own pace, 1-2 snails a day will be enough. If you’re keeping them with fish, then they’ll scavenge any uneaten fish foods too. If you’re looking after snails for the first time then you need to realize that assassin snails can get diseases just like fish can. Their shells can be affected by a number of issues. You might start to see white spots appearing across their shell. These are probably parasites that have latched on to the outside. There are lots of different parasites that use snails as part of their life cycle. It’s not always easy to keep their shells strong and healthy. If they weaken then they could crack and break; this would most likely be fatal. Calcium is important for maintaining a hard shell. They should get this from their diet, but you can add calcium supplements into the water if they’re not getting enough. The shell’s growth can be stunted if temperatures are too low or if they aren’t eating enough. One element to keep away from your tank is copper. This is toxic for most invertebrates. Check the contents of anything you add to the water, medications often contain some degree of copper. Assassins are particularly susceptible to poor water quality; they need consistently clean water to stay healthy. Perform regular water changes (every 1-2 weeks) to keep the nitrate levels to as low as possible. 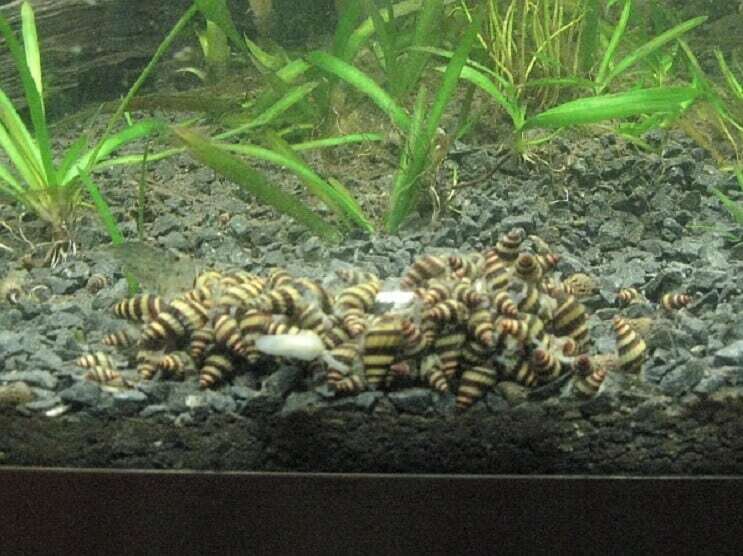 Assassin snails are happy to breed in captivity, so you have a good chance of growing your own population if you want to. They’re not hermaphrodites like lots of other gastropods. They have defined sexes but it’s virtually impossible to tell male from female. Your best chance is to make sure you have a good sized group (6 or more) so that the odds of having individuals of both sexes are well in your favor. Before breeding, assassins couple up and follow each other around the aquarium for 12 hours or so. You’ll see one stuck to the other as they move. Once they’ve mated the female will lay miniscule eggs, attaching them to hard surfaces. After 20-30 days the eggs will hatch to release juveniles. These juveniles burrow into the substrate until they’ve grown. You’re unlikely to see them again until they’ve matured (in about 6 months time). They don’t need any special conditions to initiate the mating process. A low temperature might prevent the laying of eggs and boisterous tank mates could also put them off. There aren’t many factors that stop you from keeping assassins. If your tank is clean, sandy and filled with peaceful fish, then your snails will be fine. One thing to consider is the fate of any other snails you keep. If they’re smaller than the assassins, they will quickly start to disappear from the tank. This can work in your favor though, any pests that have worked their way into your tank don’t stand a chance. This service comes with little expense. They’re easy to feed, easy to breed and they get on well with most fish. These aren’t the right species for people who want a good algae eater, but assassins are a great choice for those looking for a snail that won’t eat all the plants in sight. We have a few f8 puffers and keep a separate tank with pond snails, ramshorns and trumpet snails. Population of snails went from 30 to 300 in weeks. 1 assassin snail and 2 months later the tank was virtually empty.